Lucky me, I spent my honeymoon trout fishing. It was August of 1986, a miserably hot summer, even in the Sierras. My new husband and I had opted out of a Hawaiian honeymoon in favor of a cash gift, so we spent the post-nuptial week at my parents’ condo in Mammoth Lakes, California. Today, Mammoth Lakes hops with summer activity, but not so much then. Mostly we fished. My father, an avid angler, had advised us to hit the beautiful St. Mary’s Lake, but I confused its location with another and inadvertently directed my fledgling husband to one of the ugliest lakes known to man. Or so I thought at the time. Convict Lake. We drove off-road in our beat-up Toyota hatchback and parked in a hard-packed dirt lot beside several trucks. Surrounding the lot was nothing but waist-high weeds, thick and stiff and the color of coagulated honey. As Bret unloaded the fishing gear we had borrowed from my father, I considered the several footpaths that had been beaten through the brush. I considered my shorts and my tank top. When my husband came around with the poles and tackle box, he must’ve read my expression because he opted to start down the widest of the paths. With horseflies buzzing and biting me, I followed, convinced this honeymoon would go down in the annals as the worst ever. By the time we reached the edge of Convict Lake, my legs and arms were scratched and I was one sweaty, miserable lump of bride. We walked the muddy edge of the lake, looking for a suitable alcove that wasn’t already peopled up. Eventually, we found a spot, but, being the fisherman’s daughter, I knew from the look of it, we weren’t going to catch a darn thing there. I baited a hook and cast, then sat on the cooler while my more naive and optimistic husband (when it came to fishing, anyway) estimated the best spot in the shallow water to place his line. I was grumpy and, in no time, he’d expended as much energy as he would bother trying to talk to me. We were married now. Who needed to talk? Bored, I began cataloging how awful and ugly our location was. Trashy, even. Eventually I lifted my gaze over the gray water and stared at the mountain on the other side. On our approach, the mountain that I saw hovering over the far side of the lake was nothing but a dull slope with hit and miss sage brush. But here, where we settled, I had a decent view of the jagged peaks of Laurel Mountain. In the shadows as it was (and as corny as this sounds), it’s face reminded me of the phrase “purple mountain’s majesty.” In fact, the view was beautiful. I wished we were on that side of the lake, closer to that beauty, instead of sitting in the brush on this side. But the only way to fish on that side was from a boat, which we didn’t have. My gaze settled on a particular skiff, there in the shadows, and I watched its two occupants enviously. Then I noticed the men were wearing coats, something my sweaty self couldn’t imagine. It must be cold in that shadow, cold on the water. I’ve been cold and wet before out on a boat. There are better experiences. I decided to count my blessings and settled down to wait for my new husband to get bored enough to want to leave. Years later, I came across the entry I’d written in my journal about that day, words about how ugly the lake was, how scratched up I’d became getting there, how unfruitful our fishing had been, how much I wished I had been able to fish closer to the mountain, and how glad I was to leave. As I reviewed the descriptive words I’d written, I remembered the beauty of the mountain, a beauty I hadn’t recorded. And then I remembered the boat and those men … I wondered how they would’ve described their experience that day. 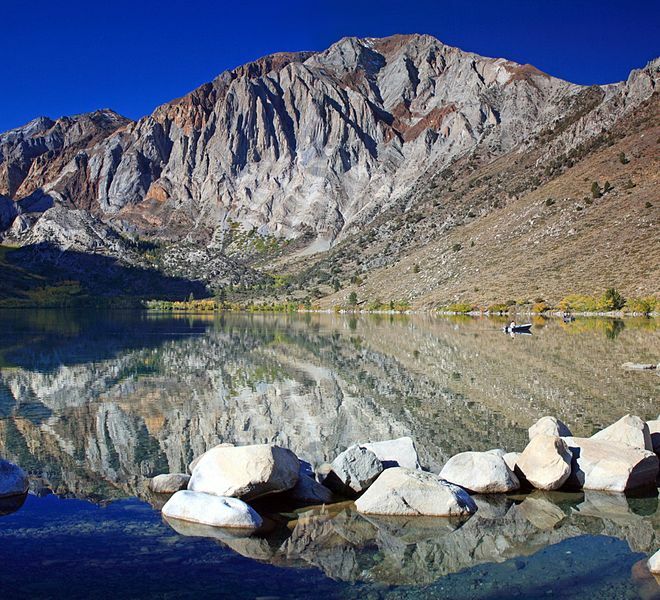 In my imagination, I looked across Convict Lake through their eyes. 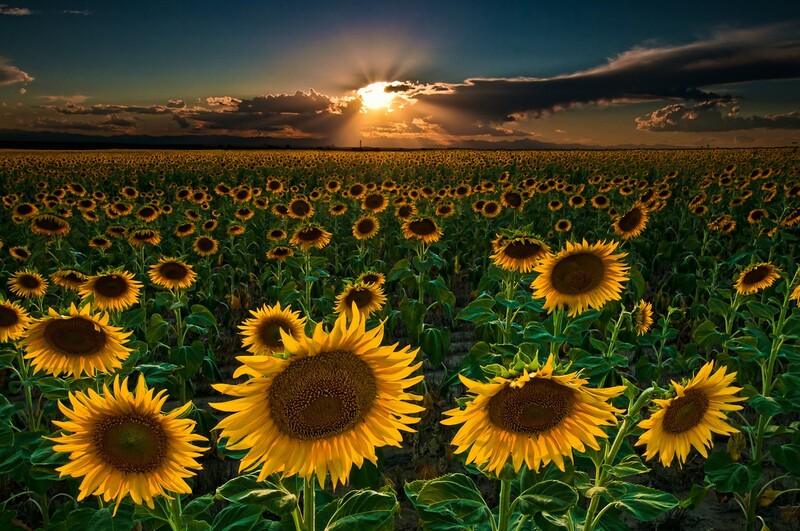 The merciless weeds that had scratched me were suddenly beautiful, their golden hue stretching maybe a hundred miles or more down the sloping terrain before they met up with the magnificent range on the other side of the valley. None of this I saw that day, but all of it, those fishermen would have seen. I thought about the many other anglers along the lake and tried to imagine their perspective of the scenery. 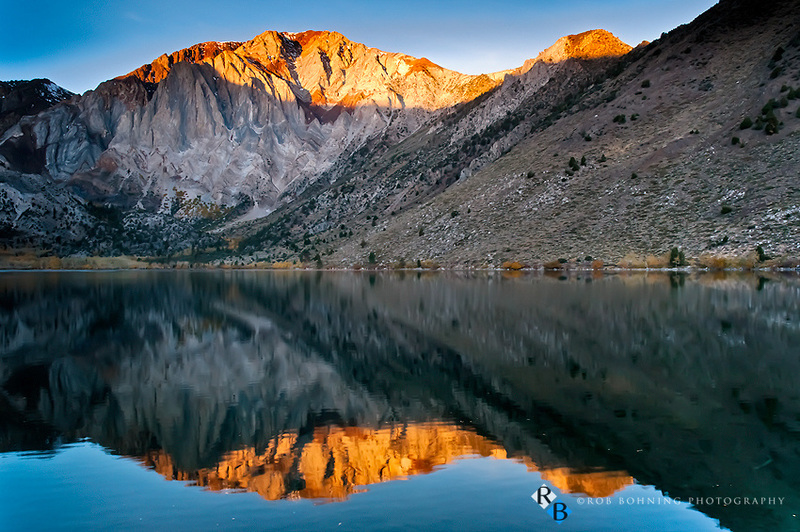 Through my imagination, I suddenly saw Convict Lake in a new way, in a more complete way, and realized that what I had actually seen from my vantage point in that muddy alcove was far from a complete view of the lake. In fact, it was extremely restrictive. And yet, all that I had experienced, all that I’d written, was both true and accurate. It occurred to me as I sat there with with my journal open, that the gospel of Jesus Christ is, in a very real way, like Convict Lake, and all of us are like the fishermen. We reach the gospel–or the Church, if you prefer–along one path or the other and settle down, looking over the expanse of the lake (the gospel/the Church) and coming to our own conclusion about what it looks like, what it is, and what value it holds for us. But our view, whether we acknowledge it or not, is limited. We see what’s in front of us. If that pair of anglers in the boat that day in August of 1986 had described to me their experience, I’d have thought them crazy. Beautiful weeds? A gloomy, overbearing mountain? How could they complain about the cold? And what lovely golden foliage could they possibly be talking about? I didn’t see any of that. In fact, if I read their description of that day, I very well might have thought they didn’t understand what the lake was all about, so different would have been their point of view from mine. So it is with the gospel. So it is with the Church. Heavenly Father has brought us to whatever shore He has in whatever manner He has and He’s left us there. We see what’s in front of us and judge the entirety of the lake according to our limited perspective. But if we are to really understand the lake–the gospel, the Church–we need to accept that we cannot see it all from where we are, that we don’t know exactly how every little brook or stream feeds the greater body, or what takes away from it. We don’t know where all the boulders and dead trees hide, nor can we see every deep pocket of plump fish that wait to nourish us. In order for us to truly understand the gospel, we must listen and learn from others, gain their perspective whether that perspective seems right or not, whether it seems fitting or not, whether it clashes with our perception or not. Heavenly Father has placed us where he has along the shore of the gospel. Together we can understand it in ways we never could alone.